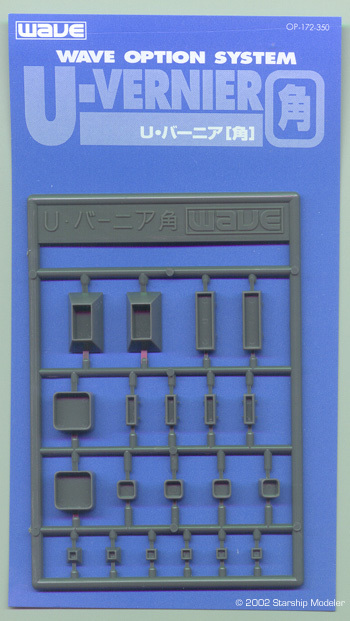 Kit preview of Wave Option System Parts . 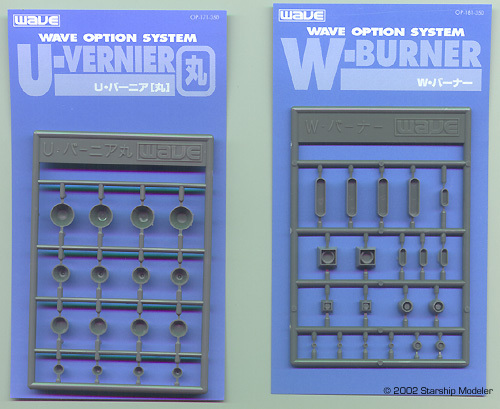 Japan's Wave corporation is much smaller than BanDai and Tamiya, but quite nearly their equal in terms of quality of kits. 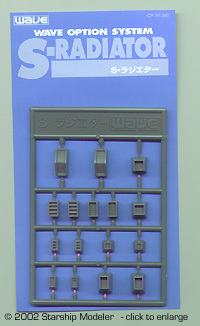 In addition to their excellent mecha kits, they produce a full line of detailing accessories called the Option System. 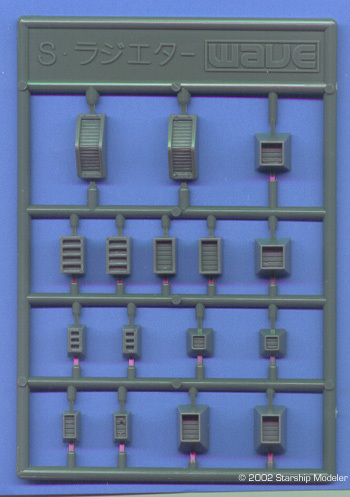 This line includes all manner of parts, from springs to decals to a wide assortment of styrene shapes. Intended to "dress up" mecha kits, they're usefull for all manner of other sci-fi models. Each set comes in a small bag with a cardboard backing. 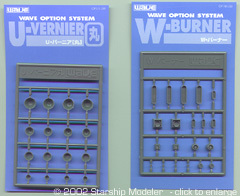 The styrene detail sets reviewed averaged 16-20 parts per package. Molding is crisp with no flash or other flaws. Most of the parts around 1/4" - 3/8" (0.6 - 1.0 cm) in size. Detail on the pieces is a bit soft, but quite useable. 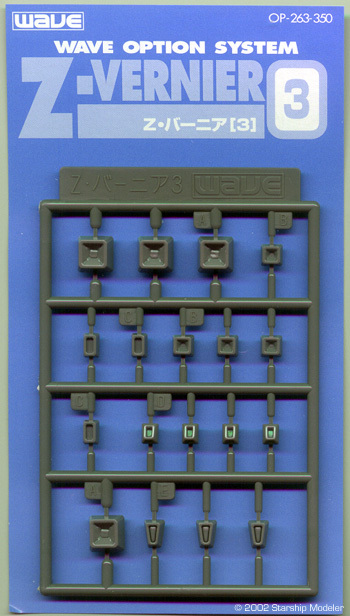 A catalog is available that details what parts, decals, bases and other assorted accessories are available. Text is all in Japanese, but the pictures are sufficient to show what each set contains. At just $6 US, it's a worthwhile reference if you find these parts useful. The sets I've obtained so far (quite a bit more than are pictured here) have been quite handy for fleshing out details on various kitbashed and scratchbuilt projects. I highly recommend 'em. Many thanks to my wallet for providing the review sample. Manufacturers and retailers, interested in getting your wares reviewed and publicized on a site averaging 3000+ readers a day? Contact us! This page copyright © 2002 Starship Modeler. Last updated on 19 April 2002.